How much caffeine in your tea? Do you Know Which Tea has the Most Caffeine? We’ve broken down a few widely held myths about tea and infusions – brace yourself for some serious myth-busting. Black, green, white, yellow, puerh and oolong teas are all from the same plant: Camellia sinensis. The difference in the taste and tea type comes down to how the leaves are processed after being picked. In the case of green, oolong and black tea, this is all about “oxidation” – in other words, the extent to which the enzymes in the leaves react with the oxygen in the air, controlled by steaming, firing or rolling the tea leaves. Does oxidation affect the amount of caffeine? Well… no, not strictly. 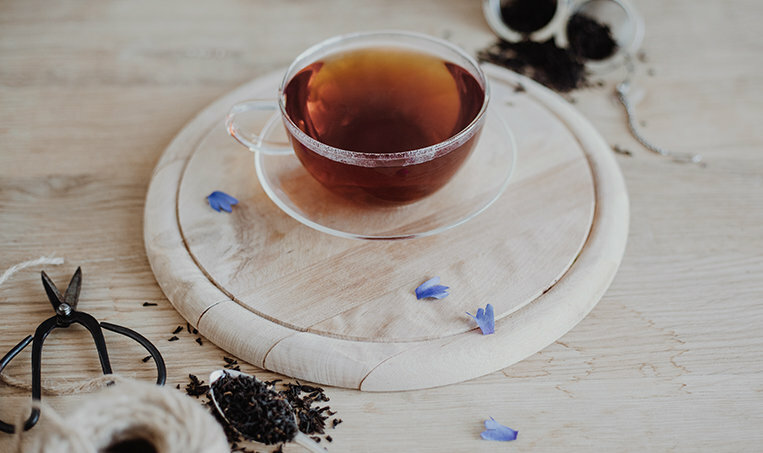 One of the biggest misconceptions about tea is that green tea contains less caffeine than black tea, and that white tea is the least caffeinated option of all. It’s a good idea to bear in mind that these figures vary a lot depending on which specific tea you drink, and the time, temperature and strength of your brew. But as a good guide, if you’re worried about having too much caffeine stick to fruit and herbal infusion. And if you want a real pick-me-up in the morning, drink coffee for a quick boost and matcha for a slower caffeine release. Here's our little guide to which tea has the most caffeine (per 100ml) – and which has the least. Got any tips of your own? Let us know on Facebook or Twitter – and don’t forget to spread the word by sharing our top caffeine tips with your friends. How much caffeine do you reckon you consume each day? The general advice is to have no more than 400 mg per day, but without knowing how much caffeine naturally occurs in your favourite drinks this can sometimes be quite a task. It’s difficult to keep tabs when you love good tea – so we wanted to give a simple, clear explanation of how caffeine varies between different teas, and to bust some commonly held myths.